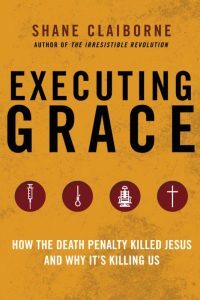 Someone interested in understanding the fervent opposition by many Christians to capital punishment will find a starting point in this book. Author Shane Claiborne combines facts, storytelling and evangelical preaching to explain this push to abolish capital punishment. He also provides abundant information about capital punishment in the United States and its dwindling use since the Supreme Court reinstated it in 1976. In the process, he makes a strong case, using Christian and secular reasoning, for ending the death penalty. Claiborne’s basic Christian theme is that the crucified and resurrected Christ showed that love, forgiveness, grace and mercy overcome death, hatred and revenge. Consequently, he concludes, as crucifixion was the capital punishment of its day, it too was defeated and needs to be erased as a form of human justice. People already versed in the controversies surrounding the death penalty and its Christian history will find nothing new or original beyond the author’s ardor. Claiborne is a self-described born-again Christian radical activist who lives and works in a faith community in inner-city Philadelphia and has traveled the world trying to unite similar communities. Spoiler alert: While the book contains many useful facts and historical data, much of it is buried in overwriting, redundancies and Sunday sermonizing. A key aim is to personalize capital punishment by telling the stories of people receiving the sentence and their later relationships with relatives of the crime victims. It’s the author’s view that understanding the real meaning of the death penalty is hard unless it is personalized. But, while the names change, Claiborne’s basic story is the same: People found redemption through a tragic death. The stories are moving and often inspirational, but the repetitiveness makes love, grace, forgiveness and mercy sound like cliches. Sometimes the cases cited don’t even involve capital punishment. People willing to slice through the rhetoric, however, will find much useful information. He takes on Bible quotes — such as “an eye for an eye” — used to morally justify the death penalty and shows how they need to be understood within the context of other quotes and within the evolutionary nature of a divine revelation spread out over thousands of years in different cultures and different historical periods. Claiborne notes how the “eye for an eye” rule actually limited capital punishment by clearly establishing that the punishment must fit the crime. In other words, you can’t take two eyes for one eye as was done in prior cultures. The author also describes how Christian theologians through the first three centuries almost unanimously opposed capital punishment on moral grounds tied to the lessons of Christ’s crucifixion. He presents strong evidence that an evolution away from this took place in later centuries as Christians moved from minority outcasts to being part of political power systems. Regarding the United States, he notes how capital punishment is unjustly applied to minorities, especially African-Americans, and that the poor receive the sentence in disproportion to their numbers. Added to this are the numerous cases of people condemned to the death penalty who were later proved innocent. As a substitute for the death penalty, the book proposes “restorative justice,” a concept by which public officials, relatives of the victims and criminals themselves work together to devise plans to amend the harms done by the crimes. While it sounds controversial and somewhat idealistic, Claiborne sites U.S. cases in which such a framework has been applied. The idea certainly provides food for thought.